The formulas used in these products are copied exactly from ancient palm leaf manuscripts. Namely, ‘Aphorisms on Medicine’ by Indian Guru Gorakshanath (also known as Gorakhnath). This is ancient knowledge of the medicinal power contained in the leaves, flowers, fruit and certain roots when they are mixed/blended in various synergistic combinations. These powerful health promoting Ancient Formulas are now available in Spice of Life products. The Siddha Science is the oldest traditional treatment system generated from Dravidian culture. The Siddha flourished in the period of Indus Valley Civilization. 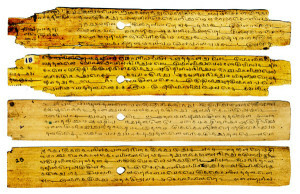 Palm Leaf Manuscripts say that the Siddha System was first described by Lord Shiva to his wife, Parvathi. Parvathi explored all this knowledge and taught it to her son, Lord Muruga. 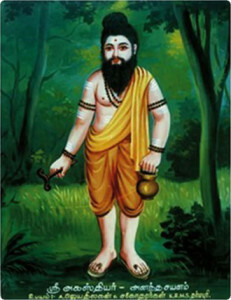 He in turn, taught his disciple, Sage Agasthya. Agasthya then taught 18 Siddhars who spread this knowledge far and wide. Siddha medicine is claimed to revitalize and rejuvenate dysfunctional organs that cause the disease and to maintain the ratio of vata, pitta and kapha. The siddha medicines given to practitioners include leaves, flowers, fruit and various roots in a mixed or blended basis. The secret is in the knowing the perfect combinations of which ancient spices and other ingredients work powerfully and synergistically together to produce the best effect on the body. By following the ancient formulas ‘Spice of Life’ can offer products that are wonderfully effective at promoting health and vitality; yet, because they are virtually unknown in these formulations in this part of the world, are unlikely to be obtained anywhere else.